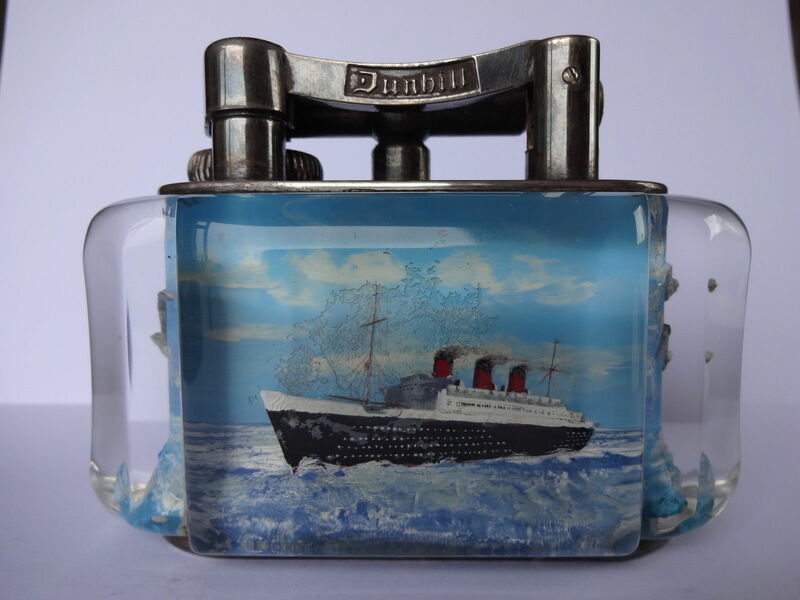 A rare Dunhill "Aquarium" Table Lighter was sold today on eBay (UK) for £7,100. The opening bid started at £1,000 on October 15th 2016. 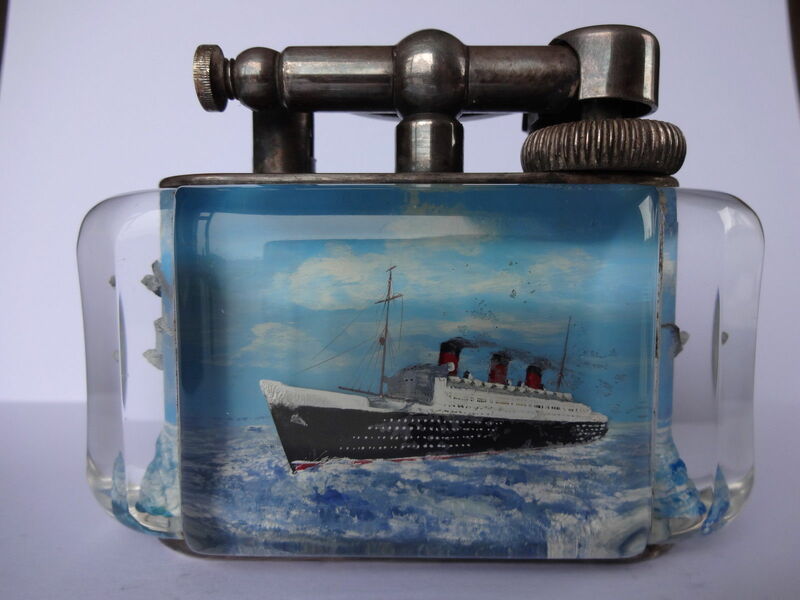 Ten days later the table lighter had received 21 bids from 5 bidders. 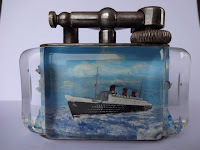 The lighter itself had some condition issues although the scene with the beautiful Queen Mary ship made the lighter very desirable. The Dunhill Aquarium lighters which were made in the early 1950s are for sure among collectors' favorites. They usually receive final eBay selling prices in the $3,500 to $5,000 range. The price though might be higher especially for examples in excellent condition featuring scenes like birds, outdoor pursuits, automobiles or ships. The scenes were hand-painted by Ben Shillingford which makes every lighter unique and thus very desirable. RMS Queen Mary is a retired ocean liner that sailed primarily on the North Atlantic Ocean from 1936 to 1967 for the Cunard Line. Queen Mary was the flagship of the Cunard Line from May 1936 until October 1946 when she was replaced in that role by Queen Elizabeth. Queen Mary sailed on her maiden voyage on 27 May 1936 and captured the Blue Riband in August of that year; she lost the title to SS Normandie in 1937 and recaptured it in 1938, holding it until 1952 when she was beaten by the new SS United States. With the outbreak of World War II, she was converted into a troopship and ferried Allied soldiers for the duration of the war. More information can be found on Wikipedia.